JNN 09 April 2014 NewYork : We’ve all heard of Hollywood and Bollywood. Some of you may have even heard of Lollywood (the Pakistani version) and Nollywood (the Nigerian version). But what about Halalywood? No? Well, as of 2014, you probably will. 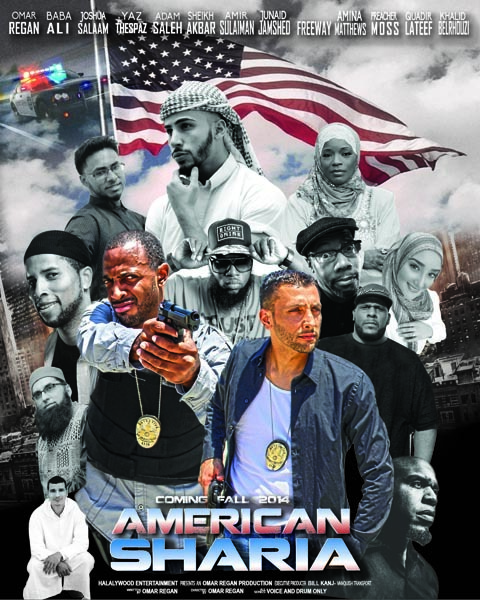 American actor and comedian Omar Regan, who has appeared in films such as Rush Hour 2, has set out to create a halal-certified film industry for Muslims. Regan says in a video encouraging people to donate to his Project. “Here is our mission: we are going to provide halal entertainment, that’s entertainment we [Muslims] can relate to. Secondly, we want to re-educate the masses about Muslims and Islam. Thirdly, it will provide a platform for young Muslim writers, actors and directors, where they can go and get their stories made and they won’t be turned away,” he says. Regan is set to release his first movie American Sharia, a comedy/action film about rogue government officials using Islamophobia to maintain power, later this year. However, the up and coming Islamic Film Industry is just one of the many new and emerging scenes being created. Reacting to the world they see around them, a new generation of young, modern Muslims are carving out new ways to entertain themselves – yet remain loyal to their faith. This new generation is showing that Islam and entertainment can go hand in hand. Along the way, they are shattering stereotypes about what it means to be Muslim in today’s world. This entry was posted in America and tagged Film Industry, Halal Entertainment, Halalywood, Hollywood, Muslims, Omar Regan, us. Bookmark the permalink.